Liebert® GXT3 10 kVA Tower UPS meets the need for higher power capacities in small spaces. 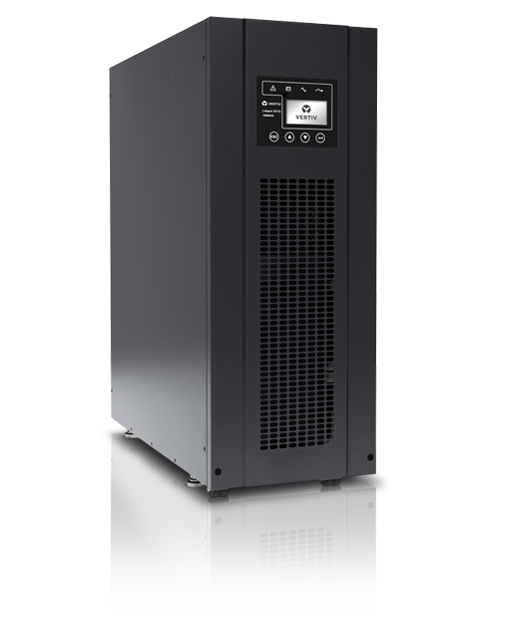 This true online double conversion UPS system is available in two different 10 kVA versions, and features integrated maintenance bypass, as well as optional extended battery runtime. Liebert® GXT3 tower is available in both transformer-free and transformer-based versions. The transformer free version can work in either 11 or 31 configuration, which makes it very flexible. The isolated version is fitted with an output Isolation transformer which allows using it at 110, 120 phase to neutral or 208, 220 phase to phase voltages, for dual input with phases shifted by 180 degrees. Note: The transformer-based version is UL marked only and NOT fit for EU countries, but only for those countries where L-L settings are used.